Ana Maria Chavez, a Mexican-American from Arizona, will be taking over the national Girl Scout's organization. NEW YORK, NY — As a young Mexican-American girl, Anna Maria Chavez was a member of the Girl Scouts in a small farming town in southern Arizona. 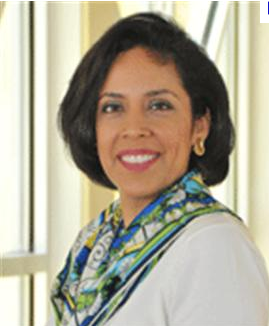 Now, she will lead the nonprofit as it experiences an increase in participation by Hispanic girls in the U.S., even as its overall membership has decreased. The New York-based Girl Scouts of the USA announced Wednesday it had selected Chavez as its new chief executive officer — the first Hispanic woman to serve in the position. "We wanted to find someone who had a strong leadership story of her own whose journey in life could serve as a shining example for all of our girls," said Connie Lindsay, the national president of the organization and a member of the search committee. Chavez, 43, has been the chief executive of Girl Scouts of Southwest Texas since 2009. She will be taking over for CEO Kathy Cloninger, who is retiring after leading an overhaul of the leadership organization's programs and direction over the past eight years. Chavez, born in Arizona, was raised in the small town of Eloy, about 50 miles northwest of Tucson, before the family moved to Phoenix. She said the experience of being a member of Girl Scout Troop 304 in Eloy was formative. "One of my best friends came to school one day and said she was going to be a Girl Scout, and I decided that was for me, even though my family hadn't had a tradition of Girl Scouting," said Chavez, speaking by phone from San Antonio. "The Girl Scout opportunity that went on from there really opened my eyes," she said. Before working for the Girl Scouts, Chavez served as an urban affairs policy adviser to former Arizona governor and current U.S. Secretary of Homeland Security Janet Napolitano and for other state agencies involved in providing community services. She also worked for the federal government, including as chief of staff for the U.S. Small Business Administration's Office of Government Contracting and Minority Enterprise Development. The Girl Scouts is increasingly seeing its future in the growth of the Hispanic community. The organization, founded in 1912, said it had noted a 55 percent increase in the number of Hispanic girls who have joined its ranks over the past 10 years. They now account for about 12 percent — or 272,000 girls — of the nearly 2.3 million girls who were Scouts in 2010. In response to the growth of Hispanics among its membership, the Girl Scouts of the USA has redoubled its outreach to the community, including with bilingual public campaigns. Overall, membership has declined by 14 percent since 2006, when there were 2.7 million Scouts, the organization said. It attributed the decline to the economy and a decrease in funding for large nonprofits.